It doesn’t have to be this way. Just because you haven’t started saving yet doesn’t mean you can’t save enough to someday retire or at least scale back to part-time work. In fact, time may be your greatest asset. If you’re decades away from retirement age, you still have time to save and grow a sizable retirement income. Do you have little or no retirement savings? According to a recent survey from the Federal Reserve, you have company. More than 30 percent of American workers report they have no retirement savings. 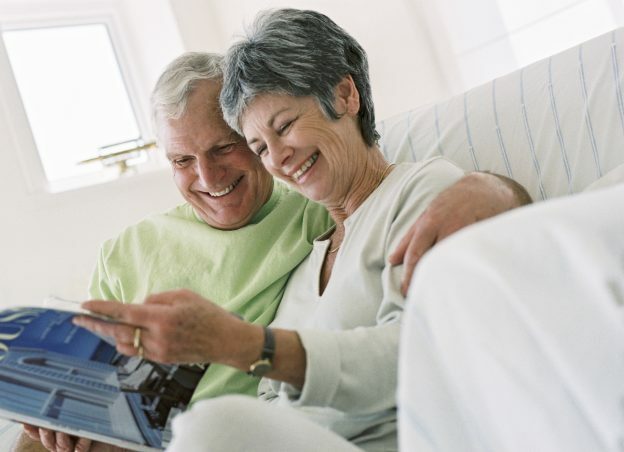 Nearly 40 percent of respondents said they don’t believe they will ever be able to retire. To achieve that goal, though, you need to take action soon. The sooner you start saving, the easier it will be to reach your goals. Below are four steps you can take to kick-start your savings efforts and get your retirement income planning back on track. For many people, the key to saving regularly is turning it into a habit. Once saving for your retirement income plan becomes a regular and automatic habit, it will become easier to stick with and you may not even notice that you don’t have the money available to spend. There are a few ways to create a savings habit. One is to set up an automatic direct deposit from your paycheck into a savings account or into your employer 401(k). Another is to set up automatic transfers from your bank account into an IRA. Think of retirement income as a bill that has to be paid, just like your rent, mortgage and insurance payments. Consider it to be a mandatory payment. If you can change your mindset, you’ll likely see your savings level start to climb. Step #2: Match your 401(k). According to a study from the U.S. Census, 68 percent of American workers don’t make contributions to their employer-sponsored retirement plan. Are you one of those workers? If so, you may be missing out on one of your best opportunities to save for retirement. Many employers offer matches for employee contributions. For example, some plans may offer a dollar-for-dollar match up to a certain level, such as 3 percent. If you contribute up to that level, you also get a matching contribution from your employer. Contributing up to the matching level is an easy way to accelerate your savings rate. Depending on your plan, you may be able to double your savings rate by capturing all of your employer’s match. Contact your human resources department to find out how much your employer matches, and then consider increasing your contribution up to that amount. Step #3: Create a tax-free retirement income stream. Taxes may be one of your biggest expenses in retirement. However, there is one step you can take today to reduce your tax liability in the future. A Roth IRA is a popular savings vehicle that allows you to save money today, grow it and then withdraw it tax-free in retirement. Traditional IRAs operate differently. They allow you to take a deduction today for your IRA contributions. Your balance grows tax-deferred, depending on the performance of your investments. When you withdraw money in retirement, that income is taxable. With a Roth IRA, you don’t get the tax deduction today. However, your money still grows tax-deferred, and after age 59½, you can withdraw the money on a tax-free basis. That could be a great way to create an income stream in retirement and reduce your tax exposure. Step #4: Protect your assets. Your greatest asset may be your ability to generate income. If you become injured or ill and are unable to work, you may be unable to save money for retirement in the future. One way to protect your ability to work and earn is with disability insurance. Disability insurance offers a benefit payment to replace your salary should you be physically unable to work. Your employer may offer disability insurance options, or you may want to explore individual coverage. If you’re married or have dependents, life insurance may also be an important consideration. Should you pass away unexpectedly, your spouse may not have the income needed to support the family, let alone save for retirement. Life insurance can provide a safety net should your family lose your income. Just because you haven’t started saving doesn’t mean retirement is out of reach. The sooner you take action, the more attainable retirement will be for you. Talk to Hal Hammond in Sarasota about how you can jump-start your retirement income plan.